For a lot of lifting jobs a good protection is needed for the lifting sling and the load. 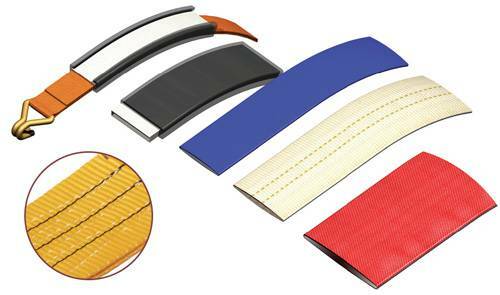 We therefore offer a wide range of protection with different kinds of materials like: PES, PVC and Polyurethane. The newest development is a protection sleeve made with Dyneema®, fibres which has a lot of benefits compared to the existing protection coatings or sleeves available in the market. 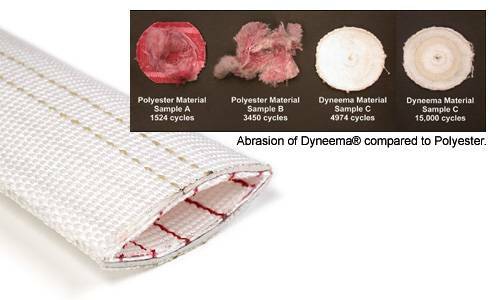 Dyneema® has a high resistance against chemicals combined with a very high abrasion and cut resistance, this leads to a high performance product.